Delve into the war-torn lands of Taldor as one Emperor’s death plunges the country into chaos–explore forgotten corners of the realms with these gorgeous map folios, now available from Paizo. These huge, lavishly illustrated poster maps depict major locations found in the War for the Crown Adventure Path. The first stunning map details the capital city of Oppara, where the adventure begins and ends. The second map provides an overland look at Taldor’s County of Meratt, and the third is a beautifully illustrated map of the nation of Taldor as a whole. 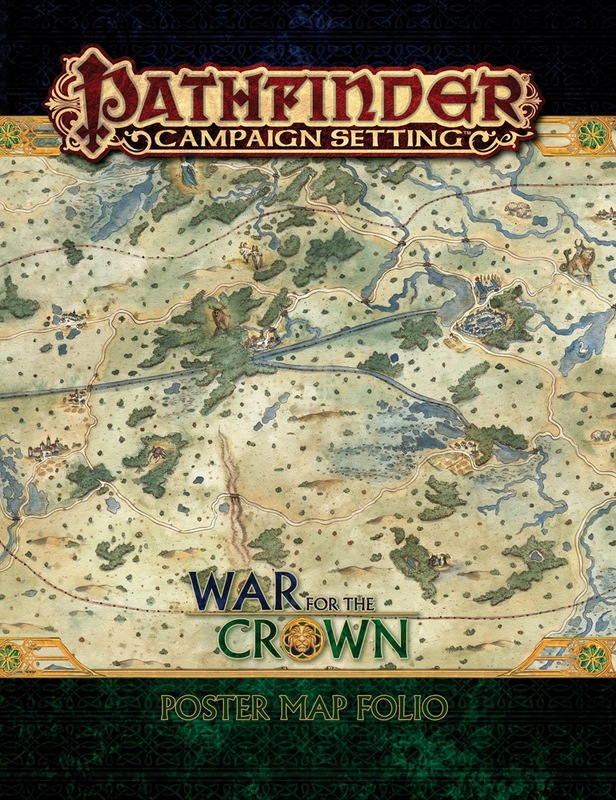 Whether you’re looking for a walled city, a stretch of forest and plains, or an entire nation, these beautiful maps are the perfect resource for the War for the Crown Adventure Path or any fantasy campaign.